When will be DC Flippers next episode air date? Is DC Flippers renewed or cancelled? Where to countdown DC Flippers air dates? 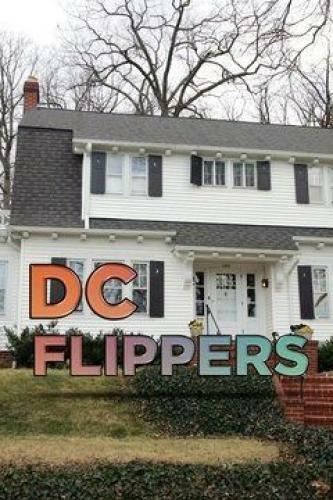 Is DC Flippers worth watching? Ati Williams and her husband Rob have built a mini-empire of businesses related to real estate, from buying and renovating homes to selling real estate and managing properties. Ati is a licensed realtor and a brilliant home stylist. Rob, an ex-­Marine, is the planner and details guy; he handles the development, architectural plans and construction side of their business. Whether it's for their own home or a home that they are flipping, they have a high-low approach combining less expensive items with high-end pieces and finishes to create a style that is inherently livable and easy to flip. Married couple and home renovators Rob and Ati Williams take some of the ugliest houses in Washington, DC, and transform them into dream homes. They find a row house in up-and-coming Petworth in need of some tender loving care. Rob and Ati hope to bring this basic row house back to life by adding new floors, pushing ceilings to new heights and creating a beautiful built-in courtesy of one of their signature big-box store hacks. DC Flippers next episode air date provides TVMaze for you. EpisoDate.com is your TV show guide to Countdown DC Flippers Episode Air Dates and to stay in touch with DC Flippers next episode Air Date and your others favorite TV Shows. Add the shows you like to a "Watchlist" and let the site take it from there.